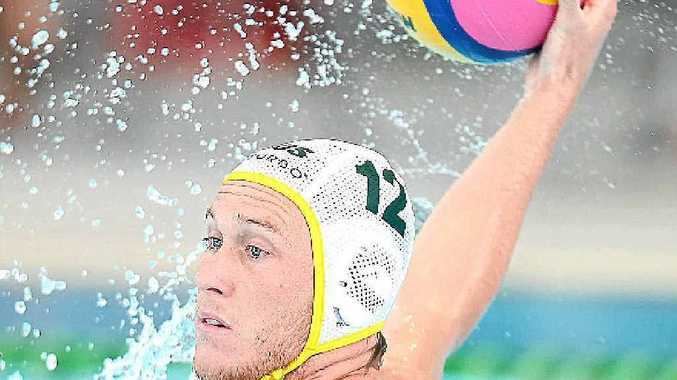 NOOSA'S Olympics prospect Billy Miller believes the Australian men's water polo team could claim its best result at a Games but admits there is a logjam of nations capable of snaring medals at London. The talented driver, who was with the national squad for a camp last week, said the Sharks were intent on improving on its fifth placings from 1984 and 1992. But he also said this year's edition loomed as one of the most unpredictable in years. "We would consider ourselves a genuine medal chance but there are probably nine countries which are separated by one goal," he said. "It's really up in the air. Hungary has won the last three Olympics but hasn't been in the top four for the last four years while Italy came seventh at the World Championships in Rome (in 2009) but then won the World Championships last year." The Australian team boasts some promising form after finishing second at the Pan-Pacific Water Polo Championships at Melbourne in January. "No one likes to come second but getting to extra time against America, which came second at the last Olympics, was a good result," Miller said. "That was with little preparation so it will be good to see what we can do with a lot of preparation under our belt and with the team looking good." And the 24-year-old hopes to be a part of that team when it heads to London. He has survived a series of cruel cuts to be one of 17 remaining squad members jostling for 13 spots. "I have to remain confident and keep trying to impress the coach (John Fox). "That's all I can do from here on and hopefully I can find some good form towards the end of the (domestic) season and leading into the international series. "I would say I haven't been in top form all season but I'm just starting to find my groove now." Miller said it was a matter of timing. "You want to peak to make the Olympics team but then you want to peak again at the Olympics to try and win that gold medal so it's a fine line," he said. After helping Northern Stars win the Andrew Kerr All Stars Cup on Saturday, Miller is hoping to continue his good run at the upcoming National League finals, when the Brisbane Barracudas will attempt to better its fourth position from last year. The Australian squad will then head to Shanghai and Tokyo for 2012 FINA World League preliminary matches before the national line-up is finalised on June 22.